BELLEVILLE – Floyd Mayweather’s sparring partner Cody Crowley is visiting Trent University today as he gets ready to defend his Super Welter Weight title in his hometown of Peterborough on Saturday. The undefeated boxing champion holds a record of 12-0 and made his hometown debut at the Peterborough Memorial Centre in May when he went ten rounds with Edgar Ortega, eventually winning by a unanimous decision. Crowley will be meeting with students in the Great Hall of Trent University’s Champlain College. 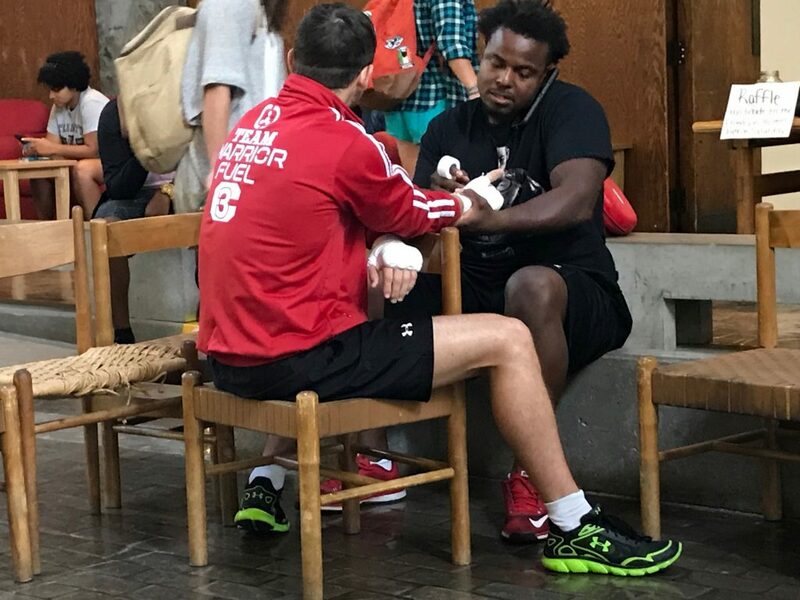 He’s offering training, teaching the basic punches in boxing from 11:30 a.m. to 1 p.m. 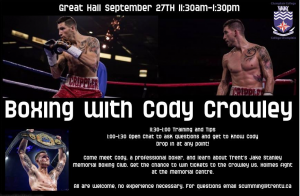 He will also be answering questions and talking about his journey as a professional athlete from 1:00 p.m. to 1:30 p.m.
Crowley is also known for training with all-time great Floyd Mayweather leading up to his prolific fight against UFC fighter Conor McGregor in August. QNet News is at the event.